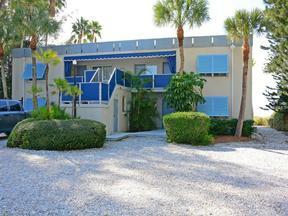 WALK OUT TO BEACH - WEEKLY BEACHSIDE VACATION RENTAL. Enjoy warm sunny days in this one bedroom – one bath (sleeps 4) condominium surrounded by lush tropical landscaping and featuring a private heated pool and on-site laundry for your convenience. Direct views of the beach in this 1-bedroom / 1-bath nicely furnished and newly carpeted unit includes a king-size bed with pull-out couch and an exterior balcony accessed from the living room. Lovely Gulf view from the living room, dining room and kitchen. The 10-mile sandy beach has a gradual gradient – absolutely perfect for swimming and snorkeling. You can also explore the many sights and attractions of the area, and have dinner and drinks on your private patio while you watch the island’s world-famous sunsets. Whether you’re looking for complete privacy or an active vacation, you will find it here. The condo is spacious, comfortable and fully equipped for the perfect vacation. Watch the drama unfold as an occasional storm rolls in off the Gulf. See the dolphins playing offshore as they race along the shoreline. Wireless Internet access and cable TV are included. Heated pool, beachside cabana with lounge chairs and private beach access as well as a coin-operated laundry room on-site. Weekly Rental Rate is $1,195/week mid-April to mid-December. Nightly rates available; minimum 4 nights. Rates include utilities; additional fees include sales/resort tax, booking and departure cleaning fee.